We’ve recently received reports that someone is calling folks and advising that they are soliciting donations for Snohomish County Volunteer Search and Rescue. This is a local variant of a very common phone scam, and you should not provide them with any personal or financial information! 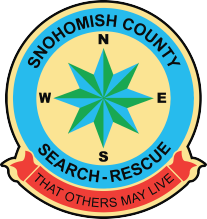 If you’d like to support Snohomish County Volunteer Search and Rescue, please do so through our new website, here: https://scvsar.org/donate/ If you’re ever in doubt, please do not hesitate to contact us directly through Facebook or our website. Thank you!